What do you mean by "pumped up the prime button"? What button would that be, or are you talking about the glow plug button? No sorry for bad terminology. Its the primer pump thats on the injection pump. Was just reading a different post and now i know. OK, you have the primer pump and your control rod is not connected, that is good, that means it will flush the whole system except the injection lines themselves. I am starting to get confused as I am reading/replying to two different SD22 diesel threads, and I believe both of you are having issues getting them started. Is there resistance when you pump the primer pump or does it feel like it is doing nothing? Yeah it sounds like both of us are having a similar problem. And yes there is resistance when priming the pump. OK, since you seen it run last, have you had any of the fuel system apart, I am talking about any fuel hose or injection pump line, did you loosen or remove anything? Did you stick your hands anywhere near the wiring where a wire could have been knocked loose, did you unplug anything? Did sparks fly at any point, I ask because if somehow the fusible link blew the engine will not likely want to start, do you have a test light or a volt meter to make sure the glow plugs are getting power, check to make sure you have power at the rear glow plug, be ready and have someone turn the key on and check for power, if there is no power you have found your problem. If you have no power to your glow plugs you need to test the fusible links, see the green and black wires in the photo below, they are the fusible links, do you have them? In the photo above you can see the black plug is deformed/melted, at some point that plug got really hot on both my diesel trucks, it has been an issue for me for years, when ever stuff starts acting funny, radio won't work, alternator is not charging, engine won't start or shut off it has almost always been that plug for me. No i havent had any of that apart. I'll test the glow plugs with a volt meter later today. And the fusible links on mine dont have that black connector at all. Do your fusible links look home made? They look like theyve been cut short and twisted all together at the ends. The white connectors are still there. Wayno if you have a picture of what the factory fusible links look like for this truck I will look through my stash and see if I have the correct one for the truck. I posted a photo of the diesel fusible links a couple posts back Charlie, they have 4 wires, the gas engines have 3 wires as I recall. The reason you don't have the black plug is it likely melted and would not work anymore, mine is barely usable, I had to work on it for a while to get it to consistently work, like I said before my alternator would not charge because of a bad connection in that black plug, it was so melted that the 2 connectors inside were missing each other inside the plug when I plugged it in. I will look tomorrow. Thank you Wayno for re posting the picture of the diesel fusible link. 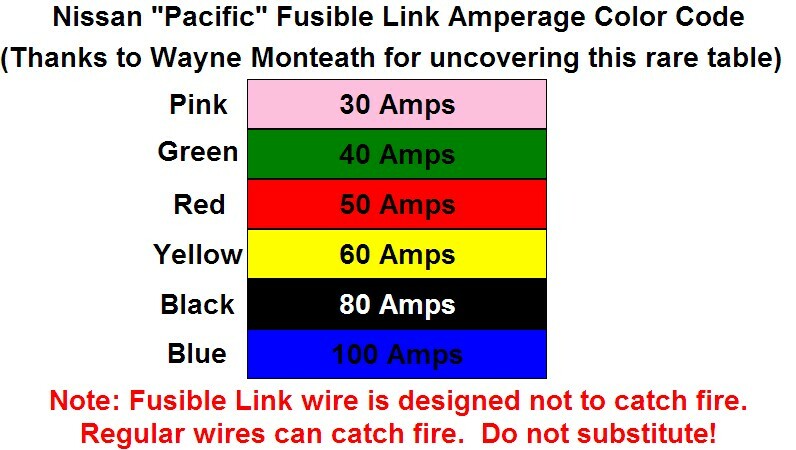 Here is a table listing the Nissan color to amperage for fusible link wires. So is it okay the way it is? Or is the only way its going to work properly is with that black connector? You have to have the 3 prong part the plug connects onto also, do you have that? You should also unplug the white connectors and test each wire connection at the white plug for power, if they all have power then I suppose it will work for now. I do not have the diesel Fusible link. I only have the gasoline. 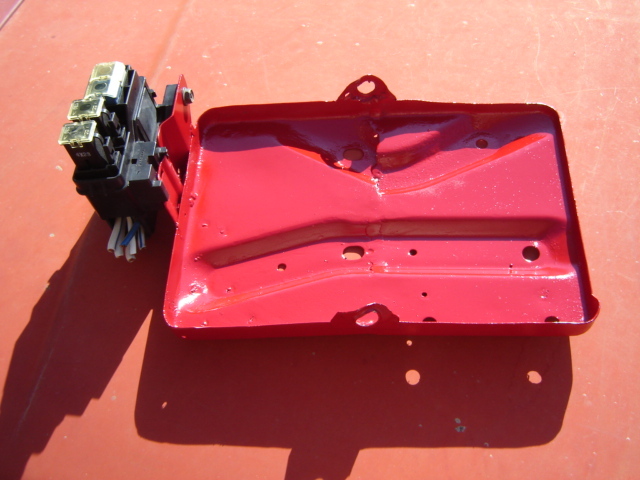 This is what I am slowly changing out my Datsun/Nissan fusible links for. 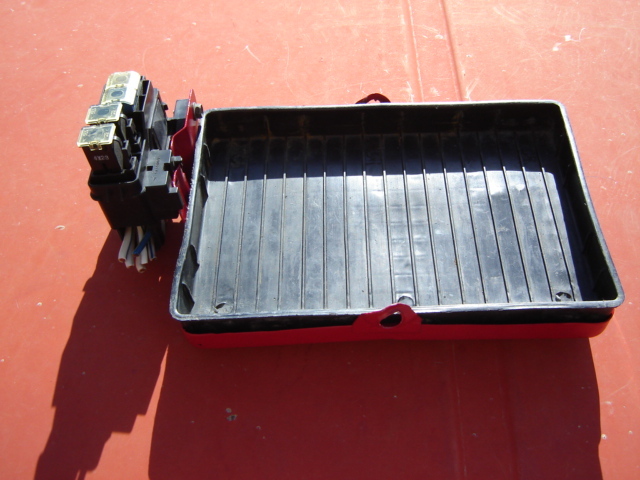 A main fuse bkock from a Nissan Quest. The last couple picture are of a modded Quest battery tray withe the fuse block relocated on the shortened battery tray. Alright i got out there today and installed the new belt. I also tested the glow plugs and the white connectors at the connectors to see if they are getting power. The glow plugs arent getting anything at all. But all the fusible links at the white connectors are good. Well it's not going to start if the glow plugs are not warming up. 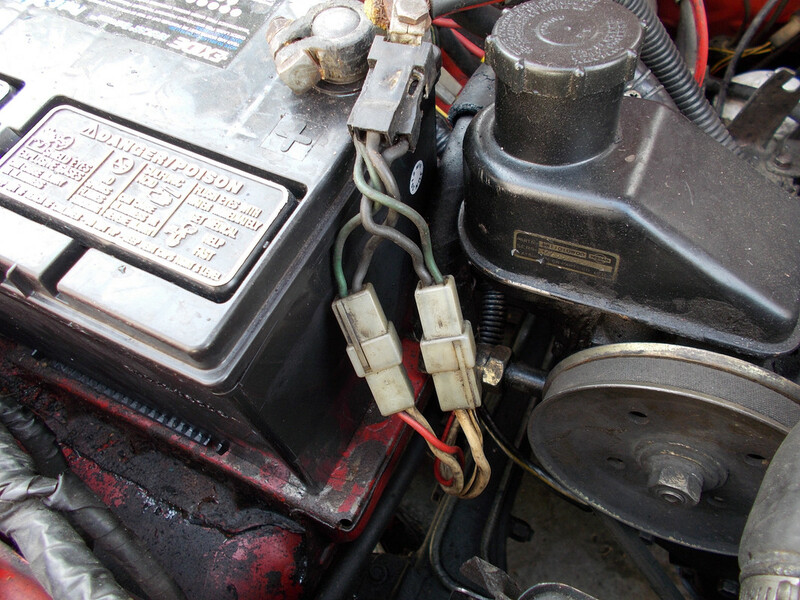 Check to make sure the wire to warm up the glow plugs is connected to the connection on number 4 glow plug. If you need to move the truck use a heavy gauge wire and jump it from the positive battery post to the number 4 glow plug post for 20 seconds, then start it, the guy may have warmed it up before you got there so it would start while you were there. I don't know what to say, I will not suggest using starting fluid. Just try warming the glow plugs up by using a thick gauge wire for 20/30 seconds and then hit the starter soon as you can, I normally use a jumper cable when the engine is on a engine test run stand(I have a couple of them), I don't normally warm them for more than 20 seconds or so as that is how long it takes for the glow plug to be orange/red hot when I test them on the bench, but it may take a little longer when warming all 4 of them at the same time. If it starts then you know the issue, the glow plugs have not been getting warmed up and that is why it has not been starting. I tried that and it started right up. Could i just run my own switch inside the truck? If so what guage? I have no idea how to use a button to warm the glow plugs, remember I said use a large gauge wire to warm them with, well if your going to use a bypass button it better be heavy duty, as that is a lot of juice to run thru a button, that is why it has a glow plug relay. I would try figuring out what the issue is first, follow the wire that plugs into the glow plugs at #4 cylinder(white/red), trace it backwards to the glow plug relay and make sure all the wires are connected, check the wire on the opposite side of the relay(white), it should have power all the time, if it doesn't have power then follow that wire back to the fusible links plugs and figure out why it has no power, if that white wire has power then on the passenger side of the cab just under the dash under the glove box there is a glow plug electrical devise, make sure it has both plugs plugged in, if they are plugged in then unplug them and plug them back in, then turn the key on and quick check to see if the glow plugs are getting power at #4 glow plug, you have to use a test light or volt meter as once the engine has been started a couple times and is warmed up it will start even though the glow plugs don't work, you only need the glow plugs warmed up if the engine is cold. The glow plug timer will act weird(only stay on for a few seconds) if the alternator is not working correctly, so if the glow plug light in the dash only comes on for a few seconds instead of 20+ seconds when it is cold, then check the plugs/wires on the alternator, make sure the plug is in all the way. I do not know why so many things are tied together in these diesel engines, but Nissan did it that way, also the oil light sender/sensor in back of the oil filter at the back of the block on the passenger side can be a hassle, ,mine was, I had to unplug and leave it unplugged because my engine will not start when it is plugged in, I put an oil gauge in my truck and I have good oil pressure, so I have no idea whats up with that in my 720 turbodiesel. I checked all that this morning. Everything is plughed into the relay and the white wire opposite of the red/white wire does have power. And the two plugs under the dash are plugged in. Wouldnt that mean that relay has gone bad? It could be bad, try running a wire from the positive battery post to the post/connection that activates the relay and see if power gets thru that way, I believe the wire is white/blue but yours might have a short green wire connecting to the white/blue wire, if it doesn't work then(power on both sides of the relay) the relay may be bad. 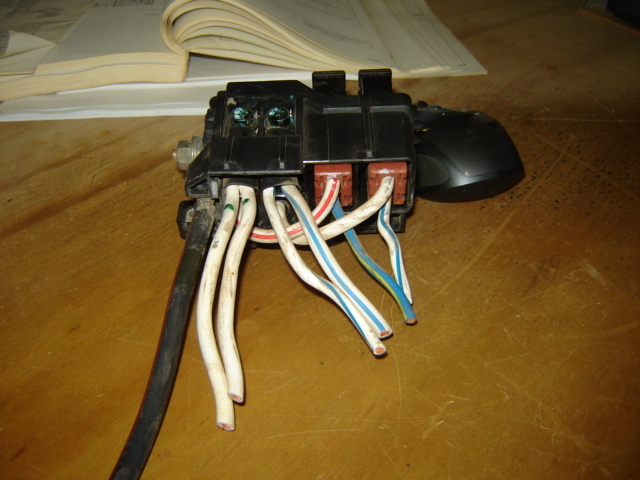 If it does make it work and you cannot trace that white/blue wire back to figure out why it is not supplying power when you turn the key on then that post is what you would connect your button to. I will always try to figure out why it's not doing what it is supposed to do before by-passing it, I want stuff to work the way it's supposed to work, and you learn as you do this kind of stuff.